Next gen should arrive in some point of 2020. Al least is most plausible year for the replacement. Sony could bring PS5 with a new DualShock. 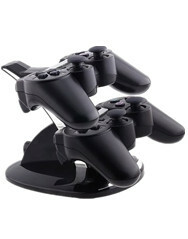 The brand has patent a wirelessly game controller with a touchscreen. Essentially, they have registered a DualShock 4 with a touchscreen instead the trackpad. Please, check the patent here. Remember Wii U, maybe there are researching with a similar base idea in mind.